<<Public Web>> is a performance provocation and interactive audio tour that places the audience in the role of performer and explorer. 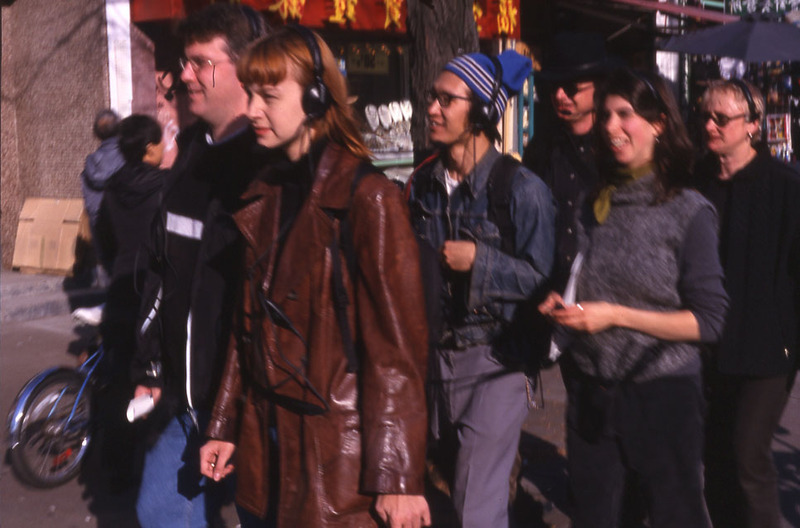 Wearing portable headphones and guided by the transmitted voice of the artist, participants toured various destinations in the downtown core. As the tour progressed, Duff observed the participants surreptitiously, periodically providing a hypertext-style list of options that required group decisions in order to determine the destination of the tour and the actions to be undertaken by participants. A sculptural apparatus of straps physically connected the groups of up to ten participants s they explored various physical and virtual entry points into the space between the public and private. Tagny Duff is a Vancouver-based artist. 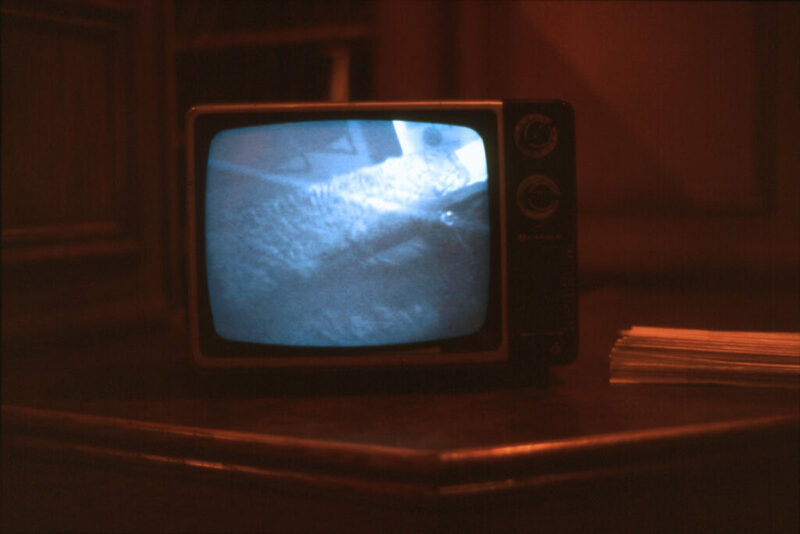 Her performances, video and audio work have been presented by venues across Canada such as The Western Front, Gallery 101, Centre for Art Tapes and recently, YYZ Artist’s Outlet. Duff has received widespread attention for her site-specific interventions undertaken as part of the Elephantiasis Ears Series in public spaces such as the shopping mall, city hall and the street.